Pride of New Zealand, sponsored by the New Zealand Herald, TRN radio station The Hits and TSB Bank, aims to find and recognise Kiwi campaigners, volunteers, caregivers, teachers and other unsung heroes who have done something extraordinary to help others. The categories are: Bravery/Heroism, Community Spirit, Fundraiser of the Year Award, Emergency Services, Environment and Lifetime Achievement. Winners will be named at four functions – one for the northern region on August 4 in Auckland, one for the central North Island in Tauranga on August 5 (hosted by the Bay of Plenty Times), one for the lower North Island (including the Wanganui nominees) hosted by Hawke’s Bay Today in Hastings on August 6 and one in Christchurch for the South Island on August 7. From those regional winners, the overall national winners will be selected. Kathleen Mato and the Whangawehi community have been selected as finalists and will compete on the 6th of August. A television crew came last week to film the school children doing water and fish monitoring. 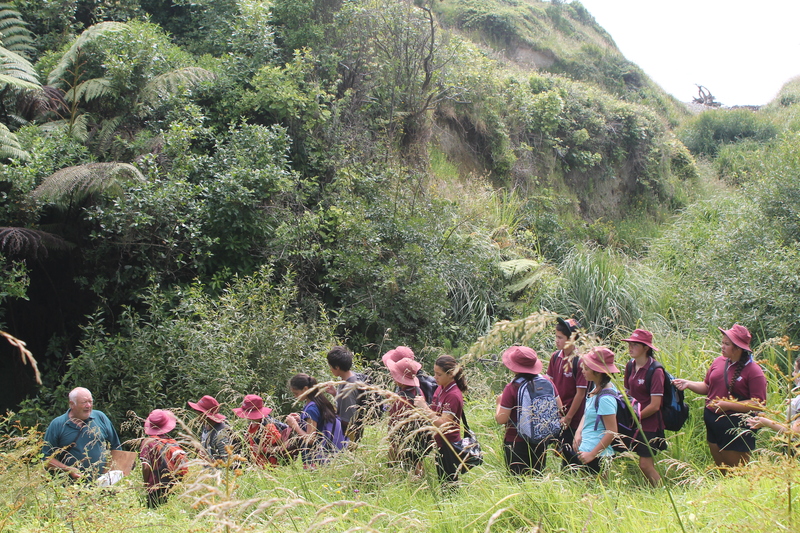 Thank you to all the volunteers from the Whangawehi Catchment Management Group and the Enviro school team for their help.